Some heavy weight clashes are on the schedule for this week with all the coverage broadcasting live on ESPN, ESPN2, ESPN3, ESPNU, WatchESPN App, CBS Sports Network, FOX Sports 1, FOX, ABC, as well as the SEC and the Pac-12 Networks. Top rated team is Florida State will face Wake Forest is a game the experts believe will be easy for the defending champions. 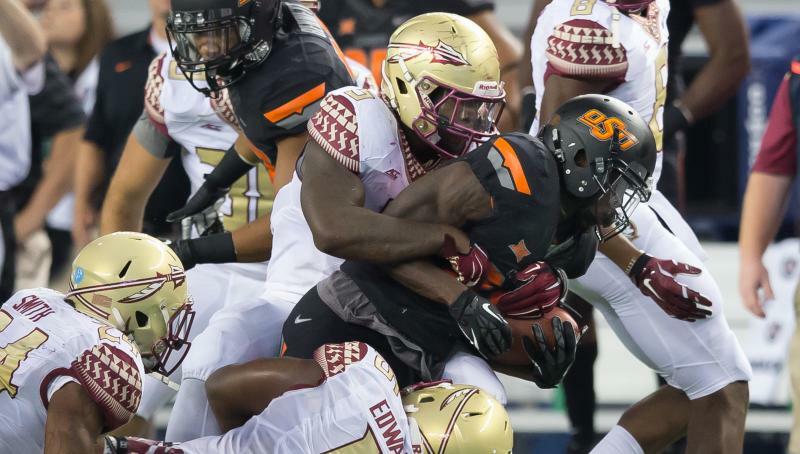 On paper Florida State certainly start as the big time favorites, but after watch No. 2 Oregon going down in midweek to Arizona, the Seminoles have been warned not take their opponents lightly. Texas A&M against Mississippi State. This game is a crucial one because Mississippi State have been playing well this season and even beat a major SEC contender in LSU 34-29 the last time out. Nebraska and Michigan State will go head to head this weekend in what is expected to be a very close outing. Nebraska is going into this game undefeated, while Michigan State has dropped just one game on the year so far. The Spartans have also tallied 129 on the offense in the last two outings compare to just giving away 28 on the defensive side. Another key top 25 clash to look out for on the day is the battle between No. 3 Alabama and No. 11 Ole Miss at Vaught-Hemingway Stadium. The SEC clash will see both teams putting 4-0 undefeated season records on the line, as well as seeking the advantage in conference action. Also on the day, No. 5 Auburn entertains rivals No. 15 LSU in another SEC battle, No. 14 Stanford plays at No. 9 Notre Dame, while No. 21 Oklahoma State entertains Iowa State.